Don’t buy another razor—this robust, Made for a Lifetime adjustable safety razor cuts clean and close to the skin and its double-edged blade helps prevent irritation. With six different size settings, you can get the perfect angle to match your face’s contour, skin type, and hair length. The buffer between the blade’s edge and your skin gives extra safety, too. 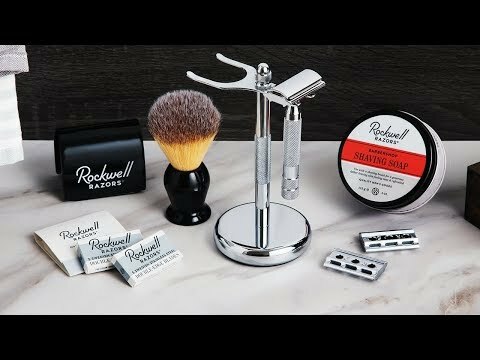 The Rockwell 6C gift set comes with everything you could possibly need to groom. There’s a stand to tidy up your bathroom space, soap, extra blades, and a brush. And, if you get a nick, just dip one of the included alum “matches” in water and hold it to the cut to help you heal. Dimensions: 6" x 4.5" x 7"